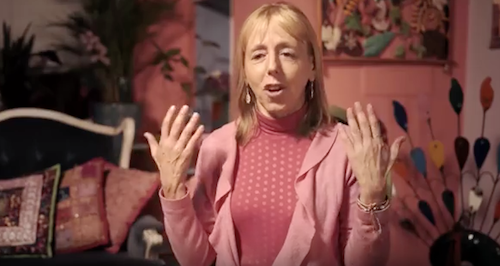 – Systems change can come about when we use some of our time to connect with other movements, says political activist and co-founder of CODEPINK, Medea Benjamin, in the video below. She is part of «The Next System Project», a multi-year initative aimed at thinking boldly about what is required to deal with the systemic challenges the US is facing now and in coming decades. Building on innovative thinking and practical experience with new economic institutions and approaches being developed in communities across the country and aroud the world, the project aims to put the idea of systems change – and that there can be a next system – on the map. Video/photo from The Next System Project. «Working with a broad group of researchers, theorists and activists, we seek to launch a national debate on the nature of “the next system” using the best research, understanding and strategic thinking, on the one hand, and on-the-ground organizing and development experience, on the other, to refine and publicize comprehensive alternative political-economic system models that are different in fundamental ways from the failed systems of the past and capable of delivering superior social, economic and ecological outcomes», the project website explains. The message is that there are real alternatives, and that defining issues systematically can begin to move the conversation beyond current limits and catalyze substantive debate about the need for a radically different system. ⇐ Can training our brains make the world a better place?